CINANIMA is an OSCAR® qualifying Festival. Works concluded after the 1st of January 2018 and which have not been presented for selection in previous editions of the Festival are eligible. Note: All those applying to International Competition – Short Films can only choose one category. 2. INTERNATIONAL COMPETITION FEATURE FILMS Eligible: Films with more than 50 minutes. 3. INTERNATIONAL STUDENT FILMS COMPETITION: Films directed by students or graduates and produced at Art Schools, Film Schools or Training Schools for Animated Film, under 50 minutes long are admitted. This Prize has the designation of Gaston Roch Award. − First films directed by Young Directors (more than 18 up to 30 years old). 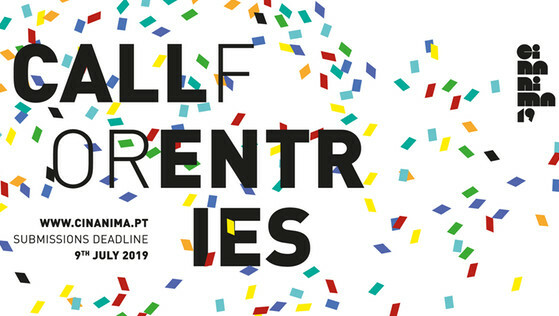 CINANIMA– INTERNATIONAL ANIMA TED FILM FESTIVAL OF ESPINHO – CINANIMA 2019 – 43nd edition- is organised by NASCENTE – Cooperative Soci ety with Cultural Purposes – and by the CITY HALL OF ESPINHO with the support of the MINISTRY OF CULTURE / ICA I.P. - INSTITUTE OF CINEMA AND AUDIOVISUAL and other public and private entities.